#1 physician-dispensed skin care system to help reduce visible signs of skin aging. 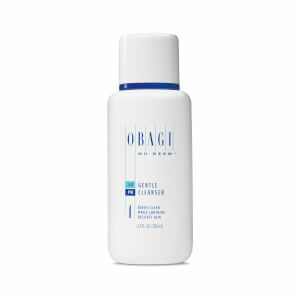 Obagi is a full-service skin care system. Some skin care products might treat specific problem areas, but they do not transform your skin. Skip the temporary solution, and choose Obagi, a line of products committed to creating healthier, more beautiful skin for the long term. Featuring a range of skin care systems and products for every skin type, you can revitalize your skin by choosing Obagi products that suit your lifestyle. Their systems target specific skin conditions, helping you to discover more radiant skin. Look for products that target your problem spots, and supplement them with daily cleansers, toners, and clarifiers to maintain healthy skin. You will find many highly effective products optimized to meet the needs of problem skin. 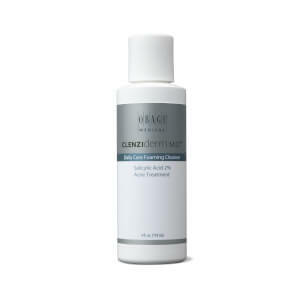 The CLENZIderm system is formulated especially for those who suffer from breakouts. Products hasten the healing of existing blemishes while helping to promote clearer skin going forward. For those dealing with lost elasticity, the ELSTIderm system can lead to big gains in skin strength and noticeable reductions in the appearance of sagging and drooping. 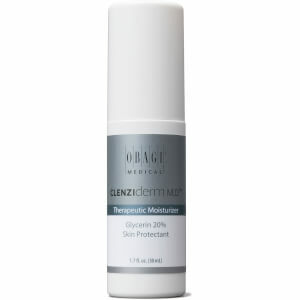 To fight back against the aging process, Obagi offers Nu-Derm, a product line that provides daily defense against free radicals while supporting the production of essential structural proteins. The brand is also a leader in vitamin C skin care and offers an array of clinical-strength formulations. Efficacious skin care that is proven effective is the key to a more beautiful complexion. Obagi products are formulated to deliver results with clinically proven ingredients. With an exceptionally strong reputation in the field of dermatology, Obagi are recommended time and time again by top physicians and skin care professionals. For decades, consumers have relied on the science behind their products to achieve and maintain beautiful skin. Regardless of your age or skin type, Obagi can help you reach your goals by offering you a full regimen of products that work together in order to tackle your most pressing concerns and help you maintain a more radiant, youthful complexion. Browse the product lineup to discover powerful formulas that work with your skin using the best of science in order to maximize on your skin's performance. Vitamin C just happens to be one of the most powerful weapons against aging skin. A natural ingredient, Vitamin C helps repair damage and protect the skin against further environmental assaults. 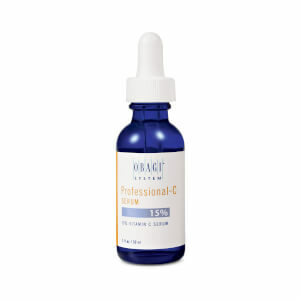 You can find the strongest strength available in Obagi Professional-C Serum 20%. This is a stable serum that penetrates deeply to address multiple signs of aging such as wrinkles, loss of firmness and discoloration. Apply it in the morning for all day protection against free radicals. This formula is for tolerant skin that is accustomed to Vitamin C treatments. Less tolerant skin types can turn to Obagi Professional-C Serum 15% strength, an effective serum in a lower does that is less likely to cause irritation to more delicate skin types. The skin around the eye is quite thin and therefore very susceptible to wrinkling and sagging. It is absolutely vital to choose a treatment specifically formulated for this area. 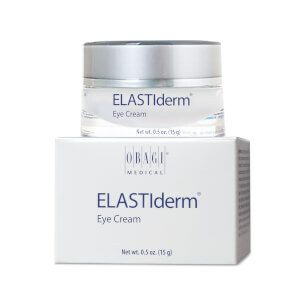 Obagi ELASTIderm Eye Treatment Cream uses a patented technology which improves firmness and elasticity around the eyes. The formula also smoothes out fine lines and wrinkles, making a noticeable difference in just a couple of months. The results are cumulative with continued use of the cream. 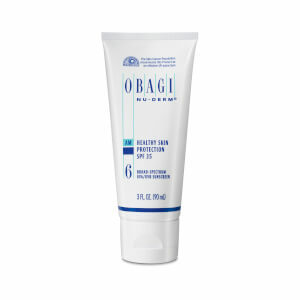 Since 1988, Obagi has brought professional-strength skin care products into the homes of people around the world, helping people improve the appearance of their skin and restore their self-confidence. You simply cannot underestimate the power of looking your best, and their products are designed to improve skin health as much as possible, so that you can truly put your best face forward every day. Skin care is meant to be as simple as possible, and to that end, the company has developed key product lines to meet everyone's biggest skin care needs. By offering condition-specific product ranges, Obagi simplifies shopping. Each range contains the essentials necessary to promote overall skin health as well as products that minimize imperfections.